Never take criminal charges lightly. When it comes to finding the protection you need for yourself or a loved one against serious accusations, you need an experienced criminal attorney in Buffalo, NY. 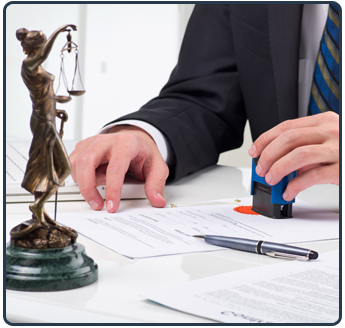 Criminal cases can lead to severe consequences if not handled in a timely and professional manner. The Law Office of Richard R. Shaw II has been fighting for the rights of hundreds of clients for more than 15 years, standing up for those facing felony and misdemeanor charges alike. With a solid reputation in the area as a criminal defense attorney, Richard R. Shaw II isn't afraid to use forceful action to help individuals in need. Richard R. Shaw II is dedicated to personally over seeing each and every case that comes through his doors. He excels in various fields of practice, making him an excellent choice for any charges you may face. Winner of the AVVO Client's Choice Award for two years, he is the attorney to trust with all your legal matters, offering free consultations to all. As a criminal attorney, he is so devoted to ensuring that you are given the best representation possible, that he won't think twice about seeking outside legal advice or other firms that might be more equipped to handle your specific case. At the end of the day, all he wants is for you to walk away from your legal troubles. Contact Richard R Shaw II to handle all of your criminal defense problems. He is proud to serve Buffalo, Cheektowaga, West Seneca, Williamsville, Niagara Falls, Tonawanda, Hamburg, Amherst, Orchard Park and the surrounding area. for your rights with knowledge and experience. Saturday - Sunday, 9 a.m. - 10 p.m.